BBQ season is upon us, and in my opinion, potato salad is the perfect side to any grilled main dish. 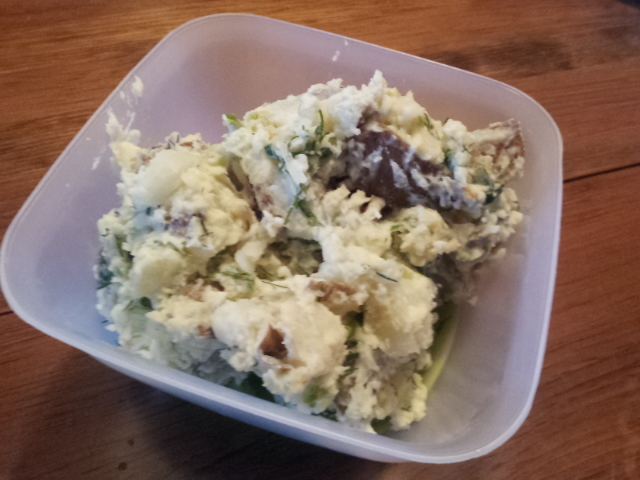 I decided to make a potato salad to go with some veggie burgers, and it turned out dill-icious… What can I say, I like puns. And dill. 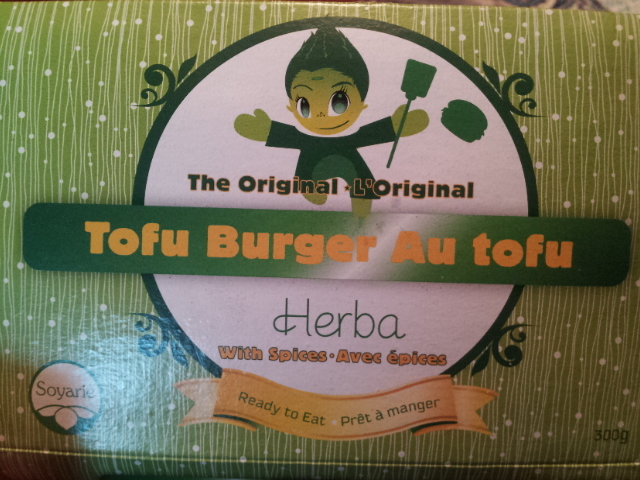 I also have to report that the ultimate veggie burger has been brought to my attention. It is by the company Soyarie, which has a few different options for flavours. I got the herb flavour, and the package looks like the picture below. The reason why I am sharing this is because they are far superior to the other ones in the tofu section at my grocery store, and I have much difficulty making my own veggie burgers that don’t squeeze out of the bun upon being eaten. I began by placing the potatoes in a pot, covered in water by about one inch. I salted the water and gave it a stir. The potatoes cooked until a fork could be easily inserted into them, about 10 minutes. This depends on the size of the cubes. When the potatoes were cooked, I drained them and let them cool until room temperature. All of the rest of the ingredients were added to a large bowl with the cooked potatoes. Enjoy with anything off the BBQ or bring on a picnic! You don’t have to worry about the mayo going bad the way that you have to with real mayo. Also, Vegenaise is delicious.